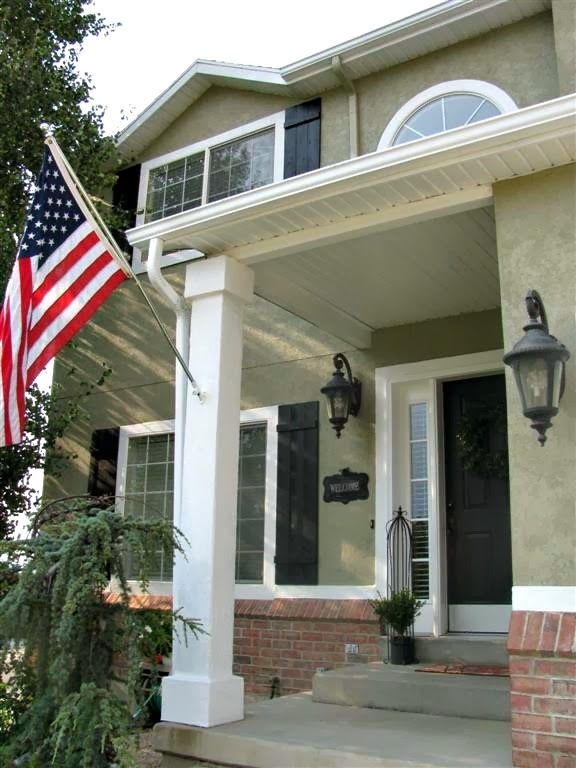 Last week, I showed you some of the changes we've made to the exterior of our home. This week I'm starting the tour of the changes we've made on the inside. 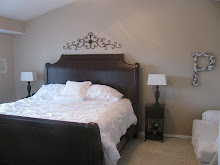 I find that changes are an ongoing theme around our house....just when you finish one project, I think of another! The very first thing we did was get new tile in the entry. I don't have a picture of before, but it was plain bright white, with dark grout. We added travertine tile & it warmed it up a bit! 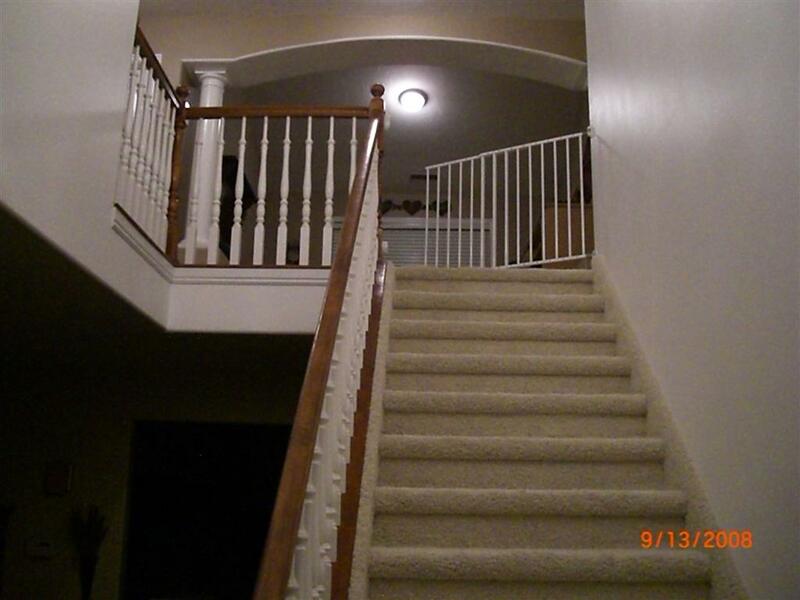 The next big change we did was stain the railing a walnut color. Being the impatient person that I am...I began staining the staircase that day! This lead to staining 3 more pieces of furniture, which I will post about another day. It had a lovely GOLD chandelier! It's amazing how a few changes warm up the whole space. 1-The color of the staircase...I LOVE how the dark stain contrasts with the white rails. 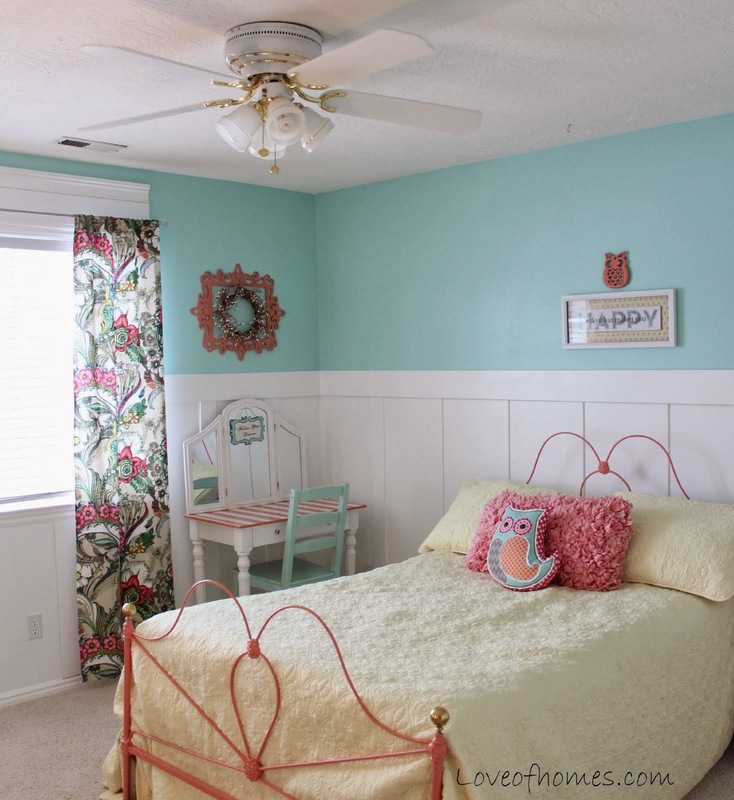 2-I waited for over 6 years for board & batten...we finally got brave & added it last year. 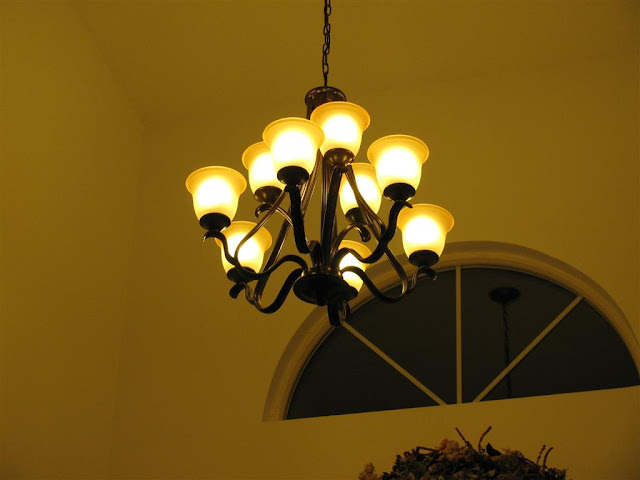 3-New lighting. Our Chandelier was not a pretty sight! It drove me CrAzY for years! Other projects always seemed to come first, but FINALLY a few years ago... it became the project! Best change we ever made! 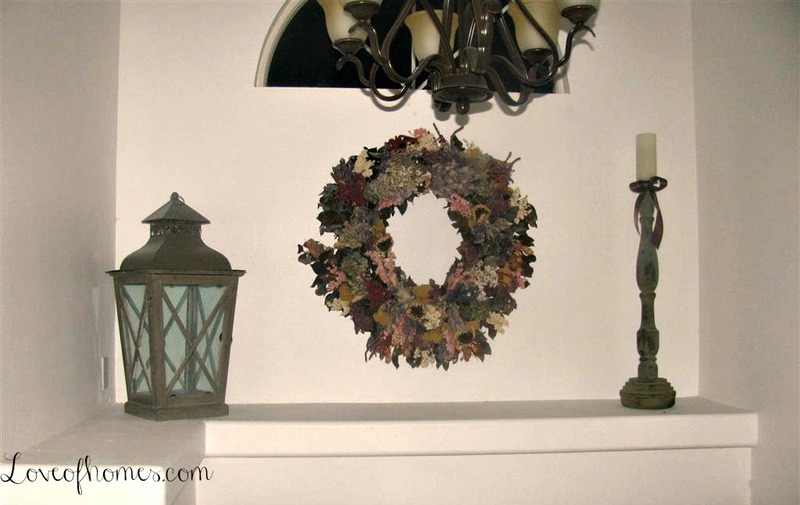 4-Decorating the landing above the door. I wasn't sure what I wanted to do up there, but we added a few decorations last year...I'm sure this is one of those projects that isn't "done". 5-The latest change was adding a picture collage up the staircase. 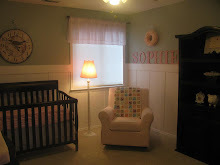 This change was triggered when I couldn't find the 4th frame to match these oval ones when Sophie was born. So I just gathered a bunch of old cheap frames that I had & gave them a new coat of paint. I'm loving the entry way now...it feels very "home-y"!! You know how I said that one thing leads to another....I have one more change & I think we are done! Hopefully I'll get to that soon! 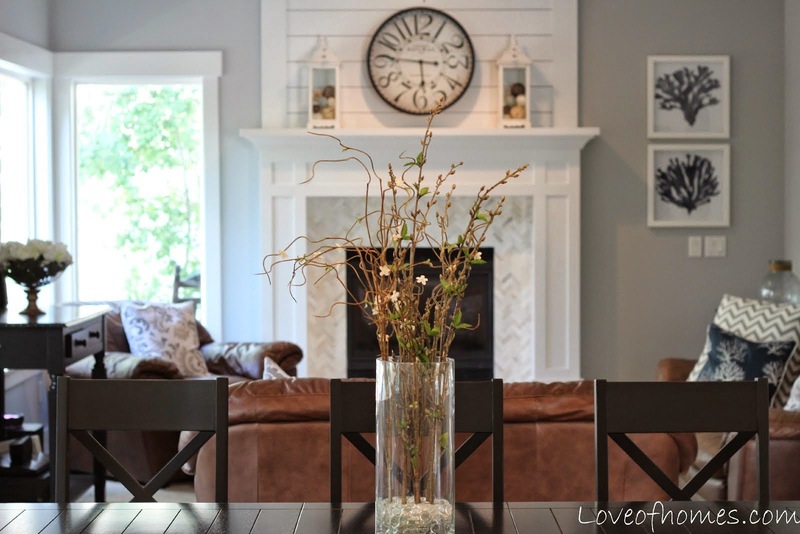 Love the pix and the wainscoting! great work! Awesome gallery wall! It's the perfect spot to put one. 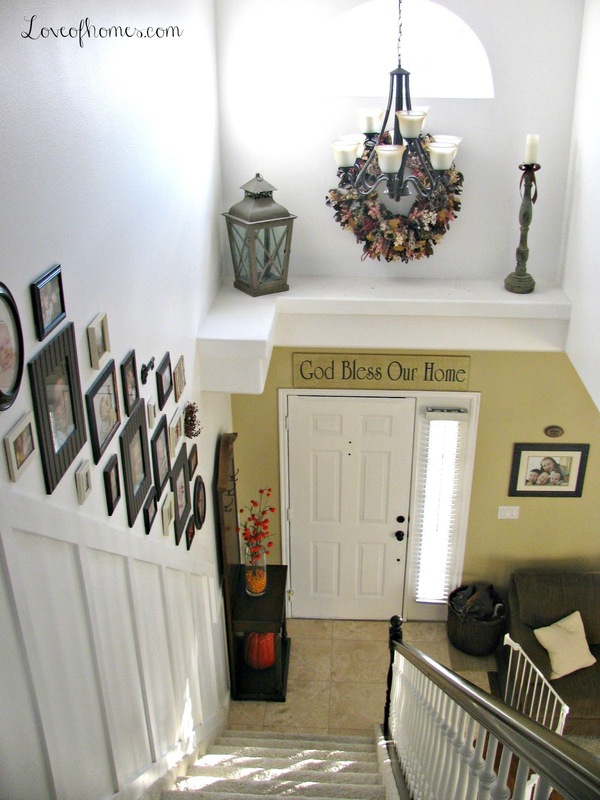 i love how dramatic the staircase and the gallery wall look! fabulous job. i wish i could talk the boyfriend into painting our rails white, but oh well. they match our floor, at least. i'm off to become your newest follower, and i appreciate that you're mine! I love your staircase!! It is so dramatic. I hate that mine is all tucked away around a corner so we can't even see it. If we weren't renting I'd be knocking the wall down. 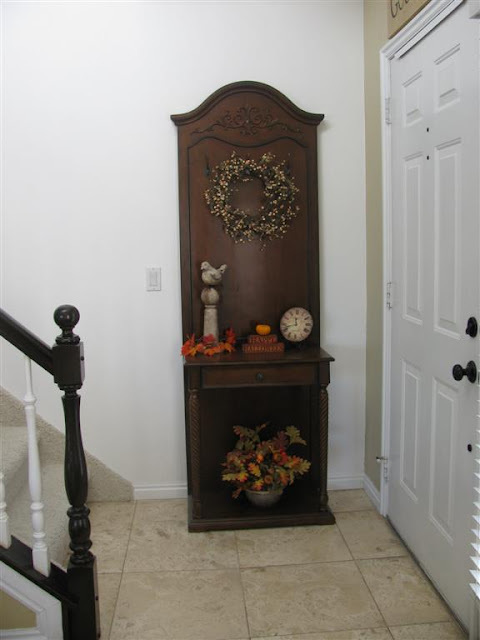 What an awesome entryway! Sometimes, projects turn into "If You Give a Mouse a Cookie"! I really like your pictures. They share your family and it's importance in your life. Very nice. Beautiful! I love the gallery wall on the stair way, and you're right - staining that rail post really made a huge impact! Gorgeous all the way around! Great job! 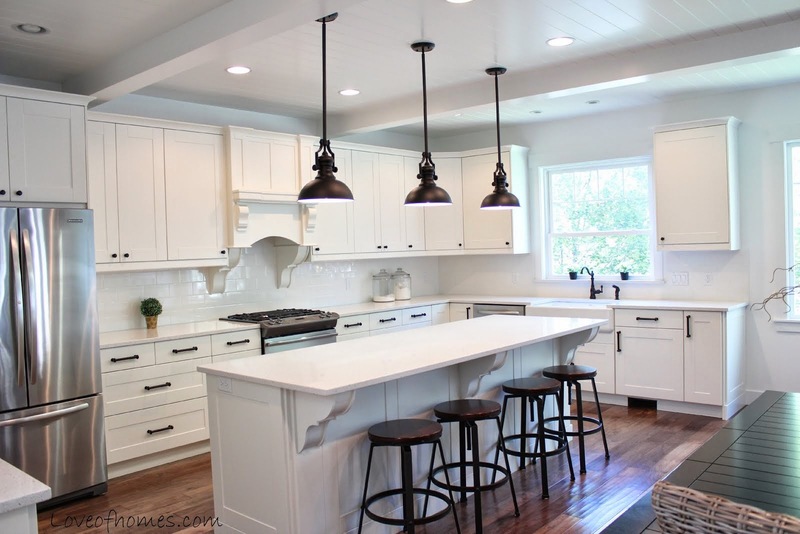 Love the board and batten. I really want to add some to my dining room. And your gallery wall is great. Your entryway looks beautiful. I live the gallery wall. I am working on mine. Someday I will get it finished and post pictures. 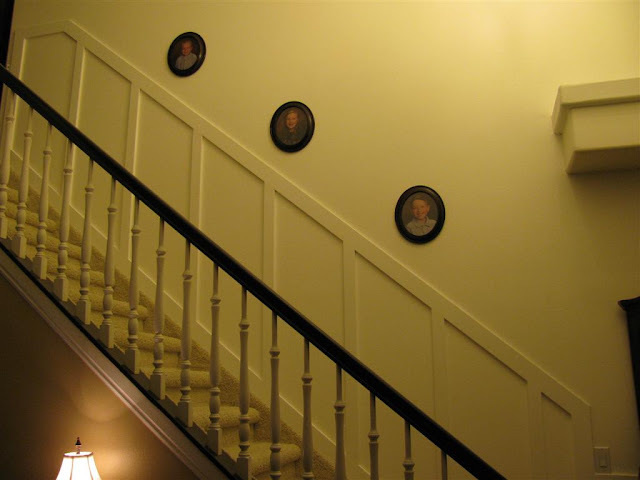 Love your gallery wall and wainscoting. You have a beautiful home. Love the gallery--you did a great job and the spacing--looks professional! Love the gallery wall, I need to get brave and re-do my entryway. I have an ugly green/gold light that just needs put out of its misery! I love the photos on the wall. Beautiful stairs! 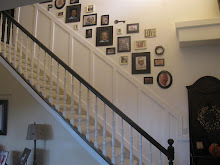 Love the board and batten up the stairs!..and thanks for following. I can't wait to see what you have to share next! 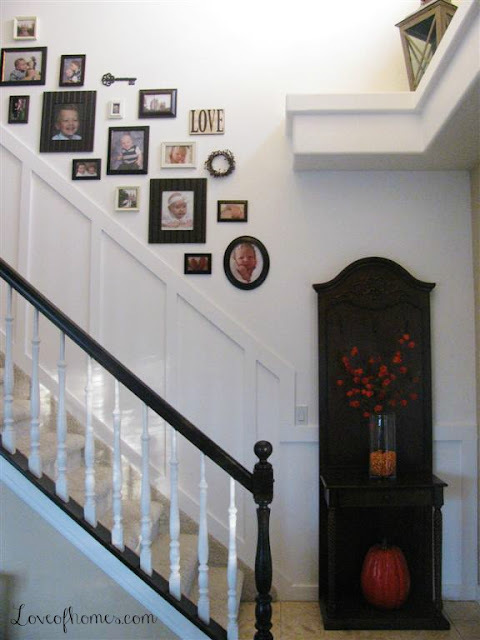 Your gallery wall looks great and your railing is beautiful! Everything looks SO great!! I LOVE the gallery wall of pictures! Thanks for linking up to Sassy Sites FFA party! Have a wonderful Halloween weekend! XOXO!! LOVE your gallery wall! I've pinned in Pinterest, so I can remember this! Having just undertaken a major stairway remodel, I can appreciate the work that went into yours! It looks lovely. 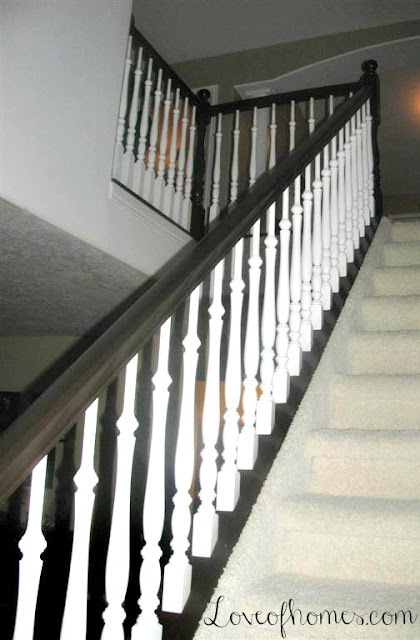 Your stairs look great, looks of work but worth is! OH man I am so jealous of your gorgeous entry way! I am featuring you this week at my party, it will be up in a little while! Thanks for linking up! 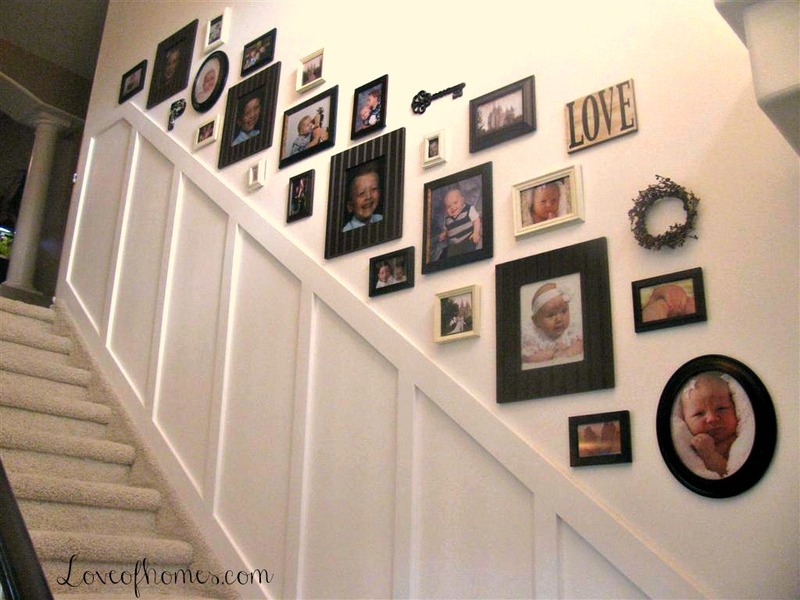 I love, love your staircase collage!! That gallery wall is impressive! I love the other changes you made too. Our last house had an entry exactly like yours. I wish I'd had your ideas back then! 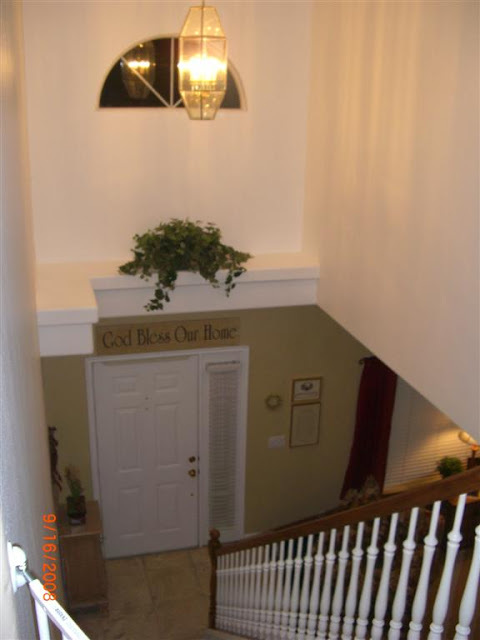 Well done on your project, it really makes your whole entry/stair welcoming and comfortable. I like what you have done. 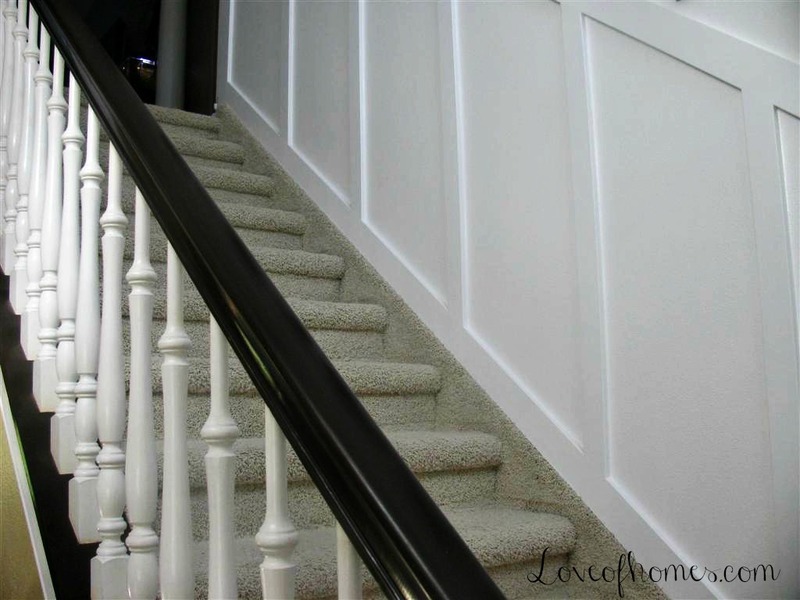 The wainscoting looks great! Thank you for the follow and I am also following you! You have some wonderful projects completed!